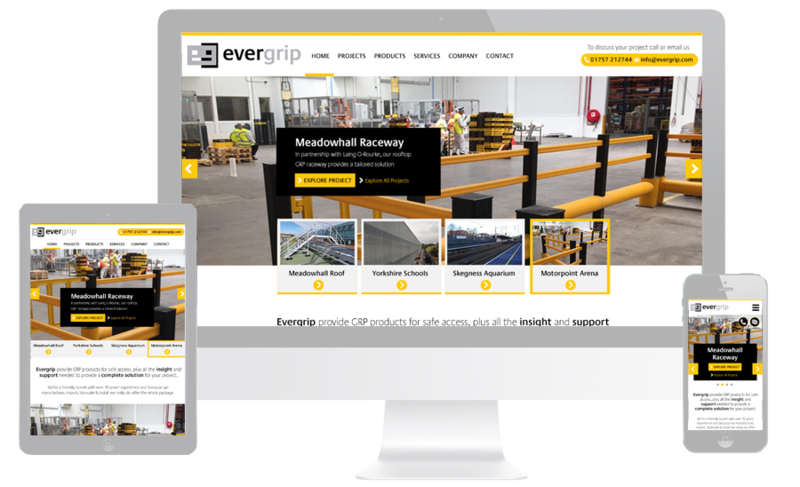 Evergrip specialise in GRP products for safe access and have 20 years experience of the manufacture, importation, fabrication and installation of composite products. They required a new direction for their website with a clean, crisp, modern approach. 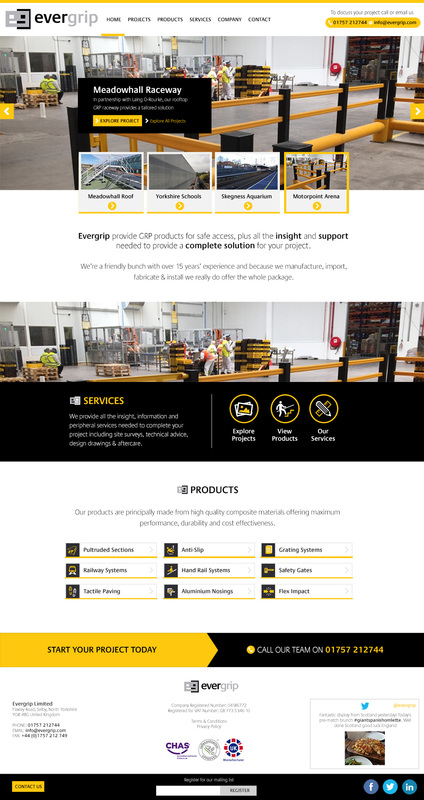 The website has many unique features, including a product catalogue that contains lots of information but is presented in an easy to digest, engaging way. The services page features a neatly coded scroll feature, take a look here!